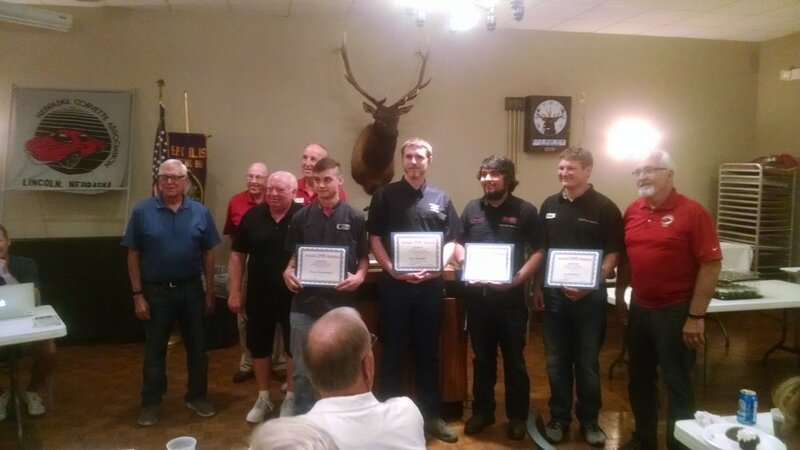 Since 2004 Nebraska Corvette Association has awarded scholarships to students enrolled in General Motors Automotive Service Educational Program at the Milford Campus of Southeast Community College. Scholarships awarded have totalled $22,000 through 2016. Scholarship applications for 2017 will be available through ASEP instructors at SCC and awarded in the late summer or fall of 2017. Brian Pernicek from Brainard, NE is sponsored in ASEP by Sid Dillon in Wahoo. Nickolis Carman from Council Bluffs, IA is sponsored in ASEP by Rhoden Auto Center in Council Bluffs. Klint Cantu from Plainville, KS is sponsored in ASEP by Moore Buick in Osborne. Eric Goertzen from Polk, NE is sponsored in ASEP by Roe Buick in Grand Island, NE. 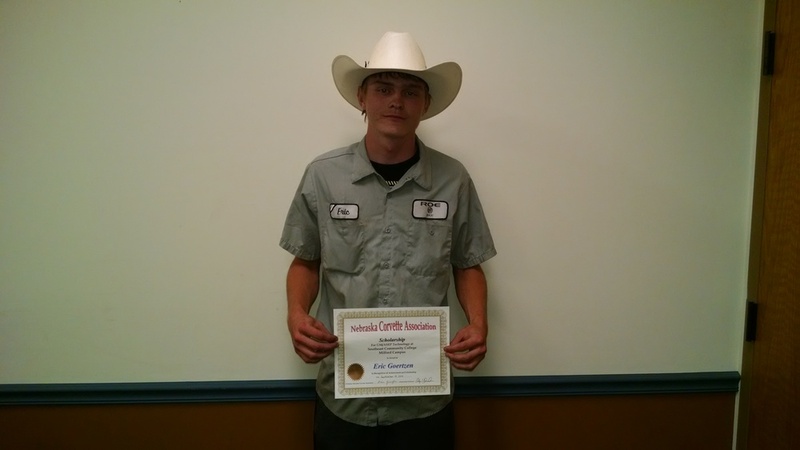 Christopher Bandt from York, NE is sponsored in ASEP by John Kohl Auto Center in York, NE.